A newly reported comment made by former FBI attorney Lisa Page during her May testimony to Congress has revealed a "momentous fact," according to The Hill's John Solomon: after nine months of investigations - which included the use of a well-paid spy to infiltrate the Trump campaign, The FBI had no clue whether there was any collusion between Trumpworld and Russia when the case was handed over to special counsel Robert Mueller. "As far as May of 2017, we still couldn’t answer the question," said Page at another point. In short - the FBI's lead attorney on the Trump-Russia investigation said the agency had no evidence of Trump-Russia collusion, while special counsel Robert Mueller has yet to produce a shred of evidence either. As Solomon notes, ex-FBI Director James Comey told the Senate shortly after he was fired that there was "not yet evidence to justify invstigating Trump for colluding with Russia." "When I left, we did not have an investigation focused on President Trump," Comey told Congressional investigators. 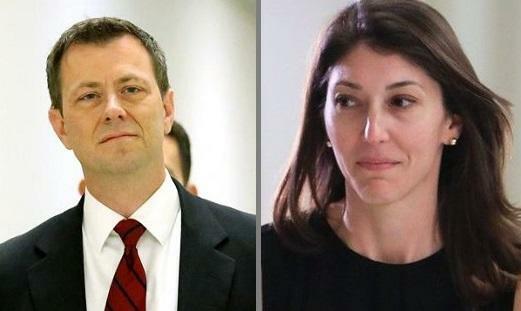 Meanwhile, Page's lover Peter Strzok - who spearheadsed the FBI's counterintelligence investigation before Mueller took over, texted "there's no big there, there." Page's admission also sugests that the FBI and DOJ officials were likely behind a series of leaks to the media just before Mueller's appointment which made collusion evidence look far stronger than investigators knew it to be. It also suggests that the MSM - "perhaps longing to find a new Watergate," were "far too willing to be manipulated by players in a case that began as a politicial opposition research project funded by Trump's Democratic opponent, Hillary Clinton, and led by a former British intelligence agent, Christopher Steele, who despised Trump."